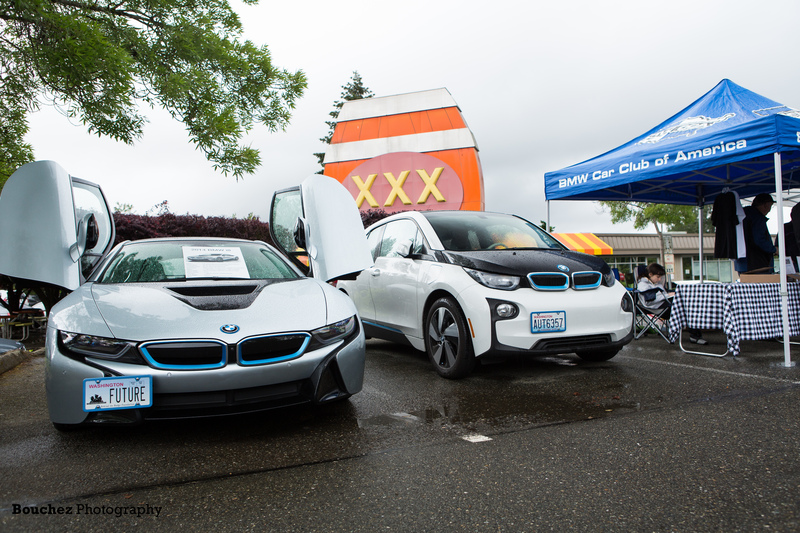 Your Puget Sound Region, BMW Car Club will hold the 10th Annual Burgers & BMWs gathering at the Issaquah Triple X Root Beer Drive-In on Sunday, May 26th. This event has become enormously popular and we routinely have over 200 Bimmers showing up for the event! How cool is that! You can wander among a variety of old, new, stock and modified Bimmers but most importantly, share your enthusiasm with fellow Bimmerphiles. All BMWs, new and old, clean or dirty are welcome to join us. We anticipate BMWs from seven decades! The event officially begins at 10:00 am. If you were there last year, we were shoe-horning cars in every available space in the Triple X Drive-In. Due to the frenetic nature of parking a tsunami of BMWs we can’t save spots for late comers. If you want to park with friends, please coordinate to arrive as a group. Burgers & BMWs will run until the last BMW leaves for home. No Club Membership is required; you just show up with your Bimmer. So tell all your BMW friends to come out and enjoy the show. Bring some extra cash for the lunch, the Triple-X Drive-in only takes cash! Eat healthy the day before. Cost: $10 donation (cash only) for a space in the upper Premier Lot, free in the overflow lots. Donations support Life Enrichment Options in Issaquah. This is a great cause and helps out a special set of folks.